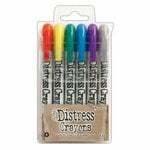 Add bright and bold color to porous surface mixed media projects with the Distress Crayons Set #9 by Tim Holtz for Ranger Ink. 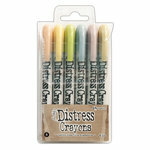 These smooth and water reactive crayons are perfect for watercoloring and smudge effect projects. 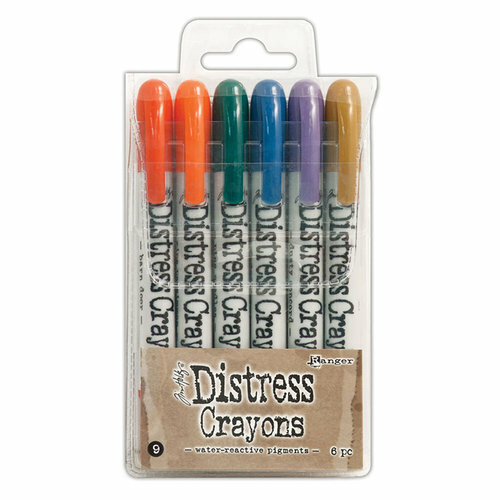 The package contains six primary colored distress crayons (Barn Door, Ripe Persimmon, Pine Needles, Faded Jeans, Dusty Concord and Brushed Corduroy). 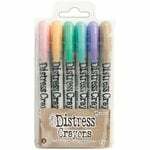 Distress Crayons are the best! 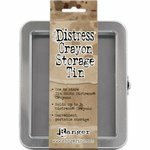 The Distress Crayon product line is fabulous! 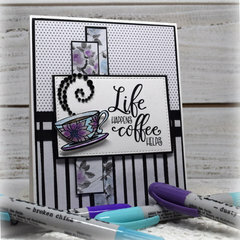 Smooth and creamy with great blendability. 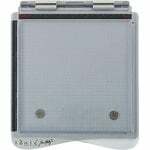 Great for creating backgrounds, equally great for coloring stamped images...they react wonderfully with water. The colors are beautiful! Would recommend the Distress Crayon line for anyone interested in water coloring. 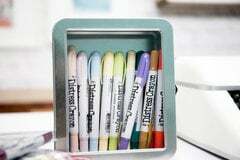 I recently took a class on using the Tim Holtz Distress Crayons. 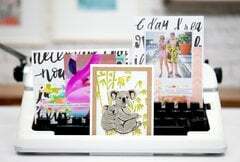 They are so fun and easy to use. I enjoy using them with water for skies and other backgrounds. 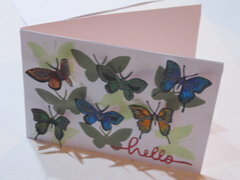 They are also a reasonably inexpensive medium to get into getting a few at a time. 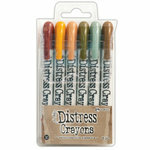 Another addition to my Distress crayon sets. 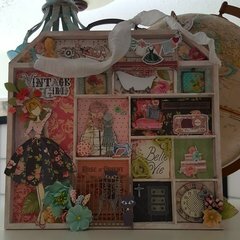 Thank you Scrapbook.com. 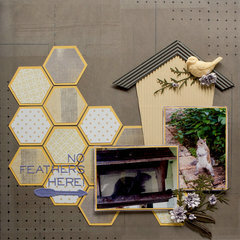 You must be logged in to comment. Please click here to log in.